Roderick Leslie joined the Forestry Commission (FC)in 1976 and subsequently occupied a variety of senior roles in forest policy and practice including a spell as Chief Executive of Forest Enterprise England. During this time the FC underwent significant changes as it moved from the massive tree planting programmes of it's first 50 years to managing the forests it had created. Having an interest in birds and conservation, the author found himself at the centre in the conflicts that eventually stopped new conifer planting in the uplands. As Environment Manager in England he describes the long climb back from the unpopularity of the FC in the 1980's to the overwhelming public support that halted Government plans to sell the FC forests in 2011. This book is about much more than trees and timber: it is about how best to use the precious space of our countryside in an increasingly crowded country. It explains how the FC's ground breaking concept of re-structuring, completely redesigning forests to answer the critics of even aged conifer monoculture underpinned exciting programmes for recreation, nature conservation, landscape and community engagement. From repairing the scars of heavy industry around our towns and cities to the re-invention of wood as a modern fuel, Roderick Leslie goes on to explain how the FC experience can help Government create the new resilient landscapes essential in the face of climate change and to find space for development without destroying our environment. 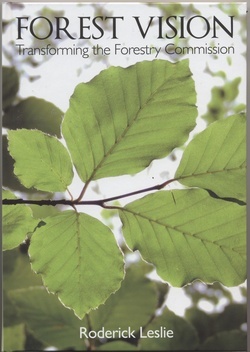 Aimed not just at professionals but anyone who appreciates and enjoys our FC forests, this book passes on the experience that turned the FC into the successful forward looking organisation it is today.